Anyways, nothing like a good fried item to whet our appetites, we began with the Deep Fried Squid tossed in salt, white pepper, garlic and chilis. Lightly crisp, the batter was a touch thick, but it wasn't a huge issue. 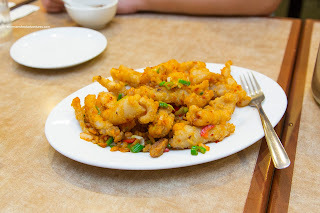 The problem that I had was the inconsistency of the squid as some pieces were appealingly chewy while others were far too soft devoid of any bite. There was enough seasoning though to give it that trademark salty garlic pepperiness. Next up was the dish that Boss Woman demanded to order. 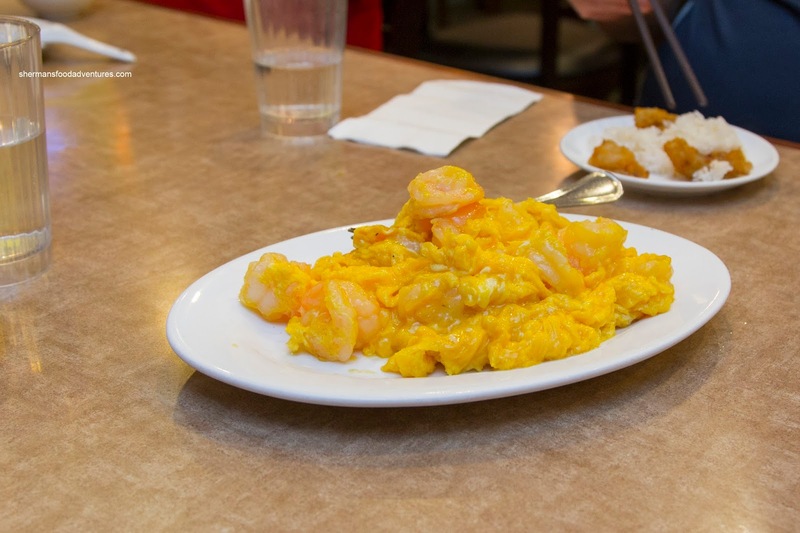 Yes, it was the Scrambled Eggs with Shrimp. I swear she could eat that for breakfast, second breakfast, lunch and dinner. Well, I would too since this version was money. The eggs were silky and barely cooked through. They were seasoned well and the large cold-water crunchy shrimp were plentiful. 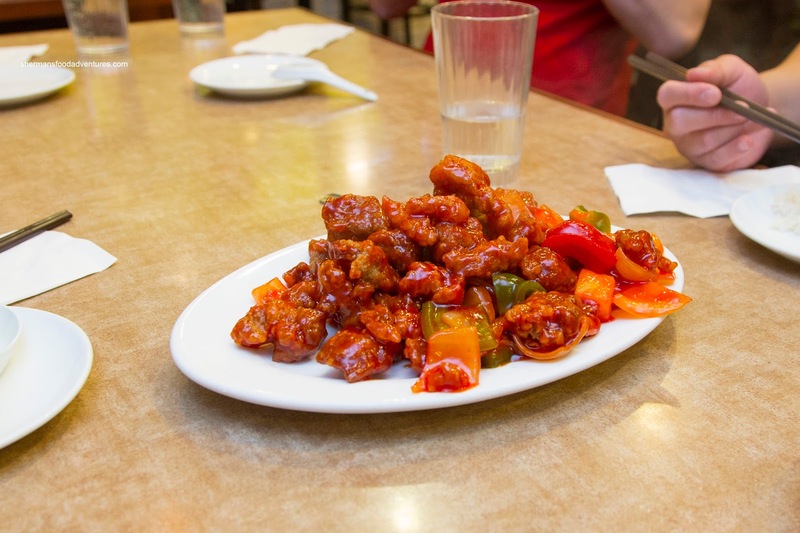 Milhouse was running late and I decided to order his favourite - Sweet & Sour Pork. He was elated that with the choice and really, so was the table. 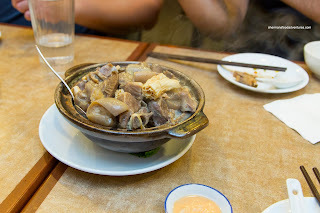 It was good version consisting of medium-sized chunks of pork that was succulent with a crispy exterior. A touch greasy, the sauce was balanced with an equal amount of sweetness and tang. My choice was the Cod and Tofu Hot Pot. I got this because there would be a layer of veggies on the bottom. This was the only way I could sneak veggies into the meal as the others wanted just meat. Another solid offering in my books as the fillets of fish were flaky and moist with a relatively thin batter. There wasn't a gross amount of sauce, so parts of the fish remained crispy. Bam Bam ignored the fact we already had a shrimp dish and ordered the Golden Duck Yolk Prawns. 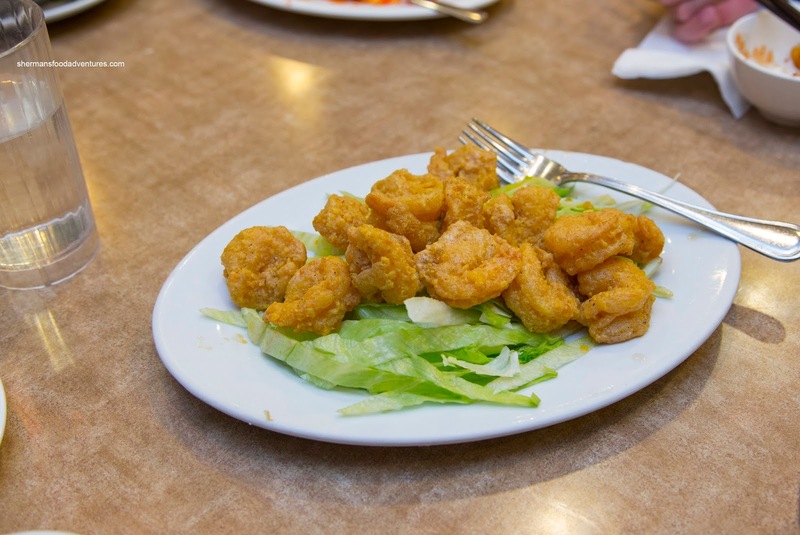 Coated with a salted duck yolk coating, the crunchy and meaty prawns were flavoured with a mild saltiness that gave way to some creaminess for the yolk. 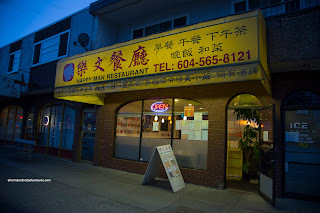 I liked how the exterior was not overly wet. Our last dish was the Lamb Brisket Hot Pot which was decent. Some of the pieces were much more tender than others. The dish was appealingly gamy and well-seasoned, but was lacking some depth. As per usual, it was served with a fermented tofu condiment on the side. 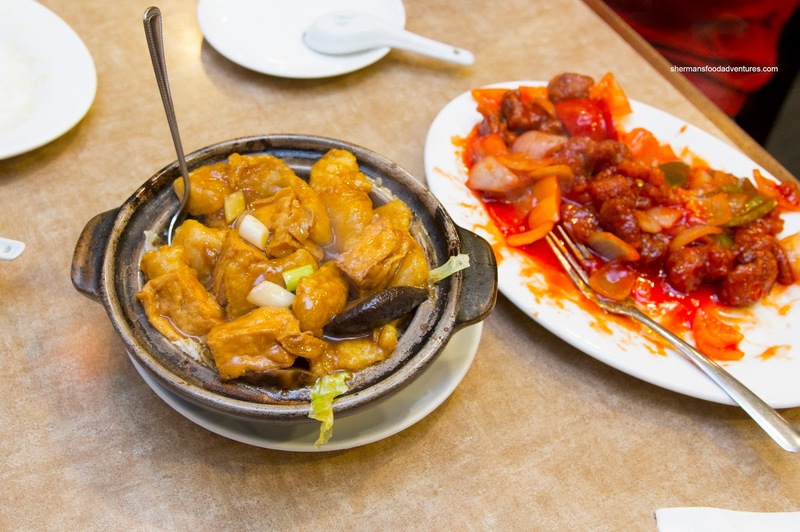 As much as this meal wouldn't win any awards of any sort, we felt the food was pretty solid. Prices were fair and the owner-lady was very sweet.